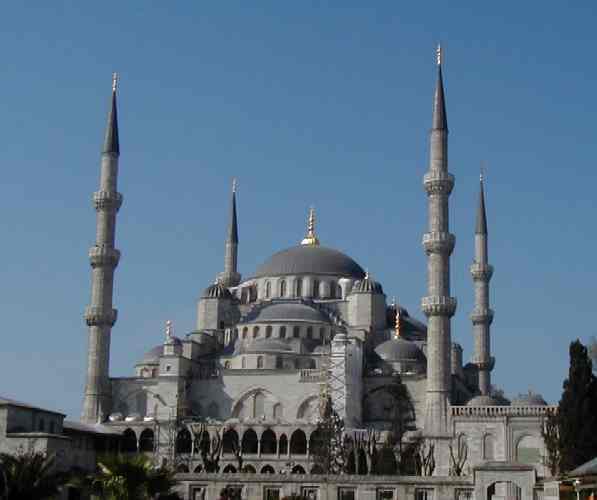 Photos of exterior and interior of the Blue Mosque. 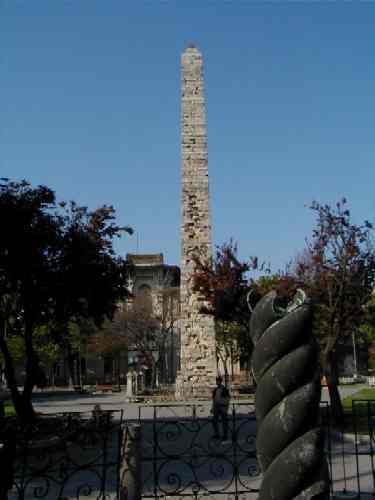 Left photo is the Column of Constantine which was part of original Roman hippodrome in Constantinople. 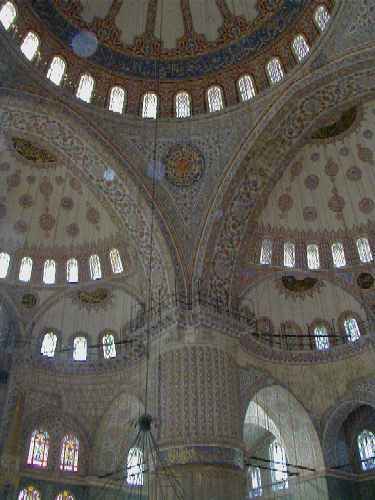 Right photo is a mosaic inside the Church of Divine wisdom, built in the 6th century. 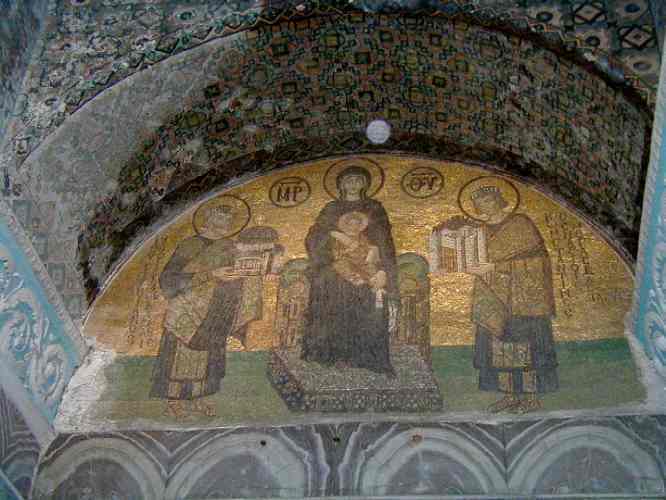 This mosaic depicts the Virgin Mary between the Roman Emperors Justinian and Constantine. 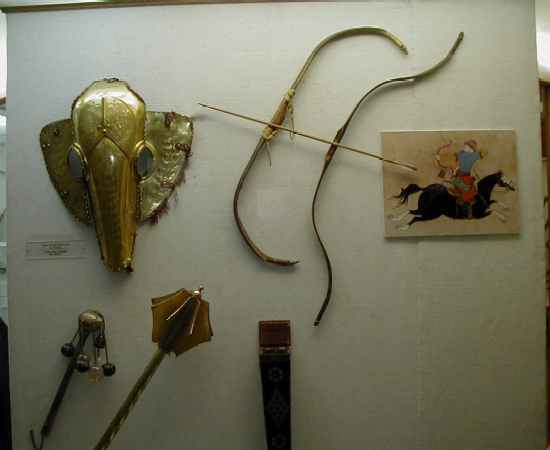 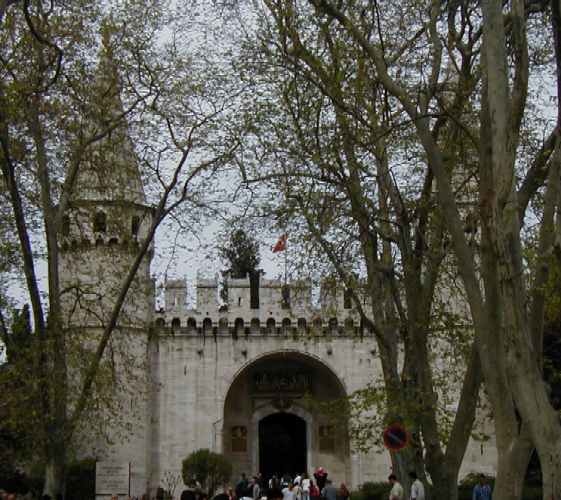 Right photo is an armory exhibit in the Armory Exhibit Hall at Topkapi Palace.